Many would argue that cinema as a medium in 2018 is hardly dependent on location. Streaming sites like Netflix and Now TV allow anyone who can afford the monthly fee to watch a huge catalogue of films from the past 50 or so years, as well as films produced by the sites themselves, like The Fundamentals of Caring and the widely acclaimed Okja. Many people also watch the latest films through illegal means rather than by going to their local cinema. And I, for one, can’t blame them. Living in Lancaster, there are two cinemas: the Vue, a chain that shows the latest Blockbuster releases, and the Dukes, an independent cinema that shows a wide range, from small-scale, low budget films to movies that also show at the Vue. Although the ticket prices are only roughly £5 for each, and the selection is generally varied, an issue of timing sometimes becomes clear, particularly as someone who is trying to watch every film upon release. In the rural UK, I will sometimes see a film upon its release in a local cinema up to 5 or 6 months after it has been released and reviewed in the US, when a consensus has already been largely established. Because of this, I find it increasingly difficult to watch a film without explicit spoilers, or the general opinion of many other people, affecting how I consume it. For example, I recently attempted to see Greta Gerwig’s excellent Lady Bird at the Vue. Despite having a massive poster up outside advertising the release date, I went in on February 23rd as specified and asked at the counter when the screenings would be. I was then told that, for reasons unknown to the also disappointed worker, the film would not be showing at the Lancaster branch. 3 weeks later, and around 4 months after the film’s initial American release, I watched Lady Bird at the Dukes. Without this independent cinema, I would not have been able to legally watch the Best Picture nominee, nor Three Billboards or The Disaster Artist. Despite seeing these films a long time after the initial release, independent cinemas like the Dukes are a godsend for obsessive film fans like myself who are determined to see everything released. They also provide a broader range of films to people who may not be as discerning about what they watch, exposing people to new perspectives that may be different to the big-budget Hollywood fare available at the Vue. 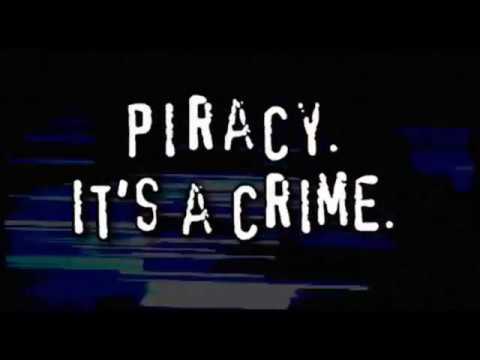 Understandably, many people I know continue to pirate films in order to watch them, for the reasons listed previously or because of a lack of money, not being able to travel to the cinema, etc. However, in the case of Lady Bird, an indie film made on a notably lower budget than many other Oscar-nominated films, I feel a need to financially support it and others similar. We as filmgoers must tell producers what we want when we can, and spending the £5.50 to legally see Lady Bird sends a message to producers that thoughtful, refreshing, original and female-led films can be financially successful. The same goes for supporting the Dukes and similar cinemas, as we must keep funding them to have these unique films available to us. This is not to discount the role the Vue plays; I have personally found them vital for keeping up with releases, and their many screenings of Black Panther feel vital to a community that is overwhelmingly white. However, it is the Dukes and cinemas like it that need continuous support from their local communities, and despite the inevitable wait times that come attached to living outside of the US, I am incredibly grateful for them. In fact, I sometimes feel a lot like Lady Bird living in the suburbs in her titular film: in a quiet town with people I love, grasping onto the culture available to us. Next articleMindfulness: A method for improving mental health?